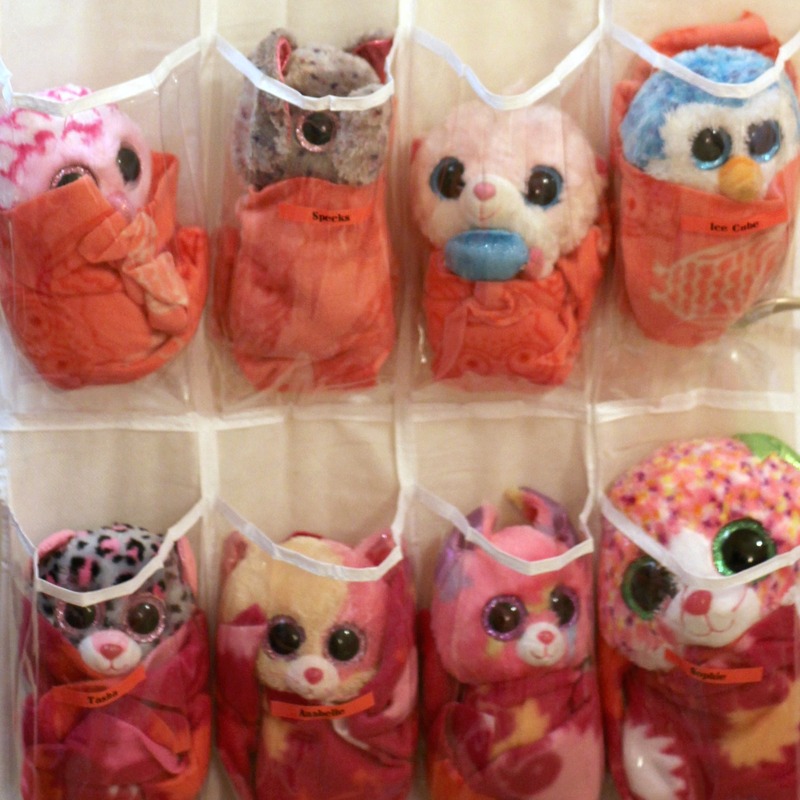 I wanted to share a simple way we found to keep my daughter's stuffed animals organized. I purchased an inexpensive shoe organizer and some fleece remnants. I cut the fleece into small blankets and we labeled each shoe pouch with the name of one of her stuffed animals. She loves it and it keeps her stuffed animals off the floor (most of the time). For larger stuffed animals, I've also seen them stored in an empty bean bag cover.